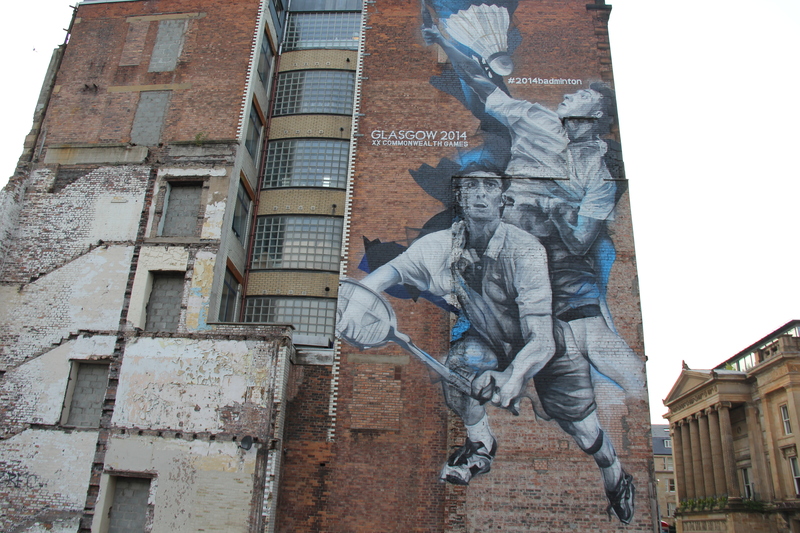 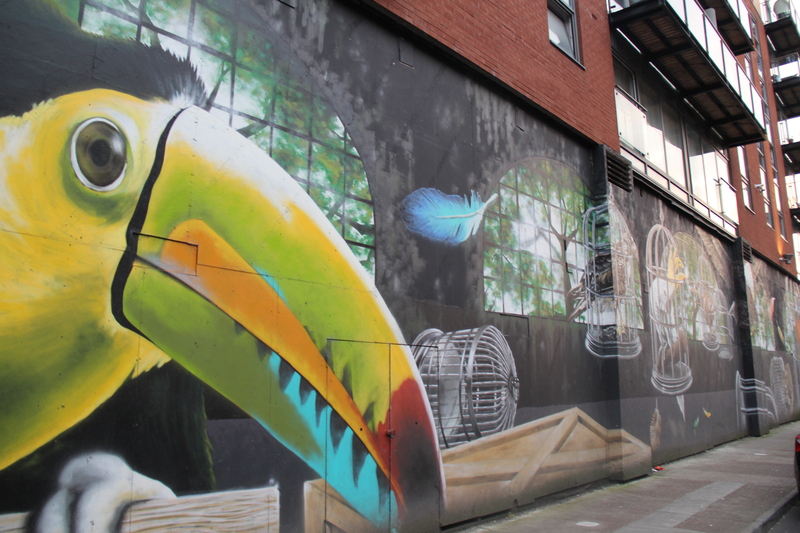 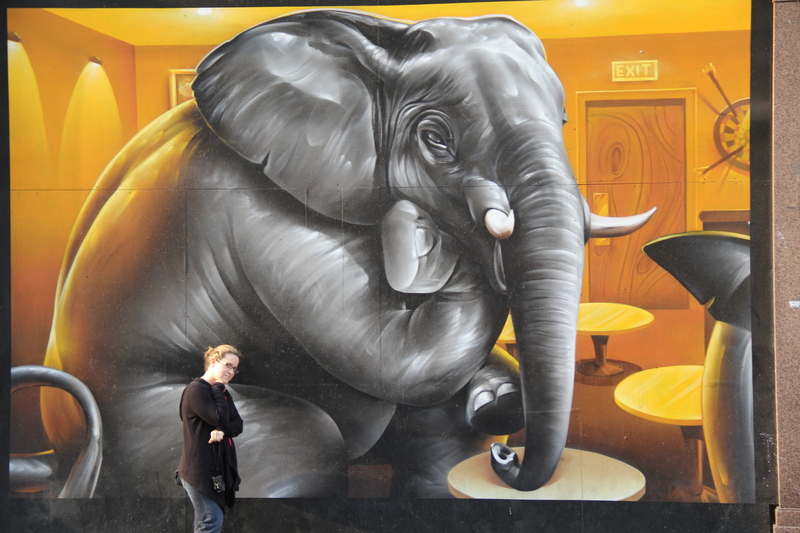 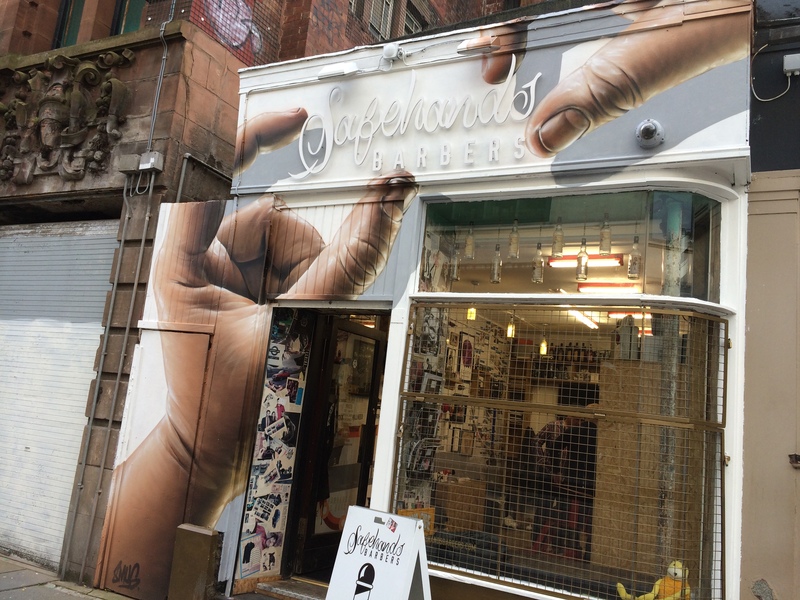 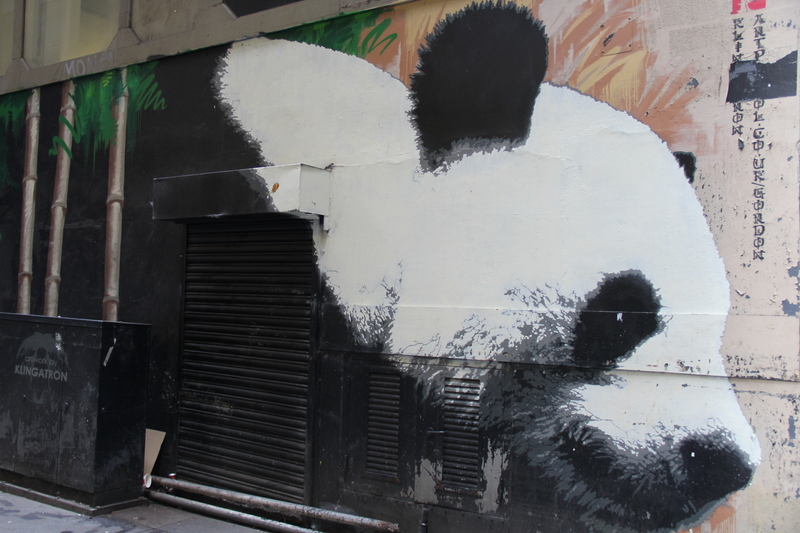 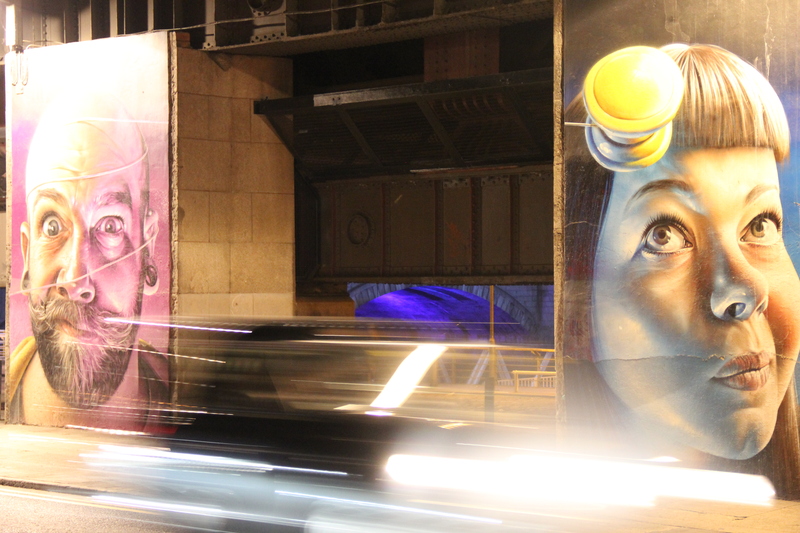 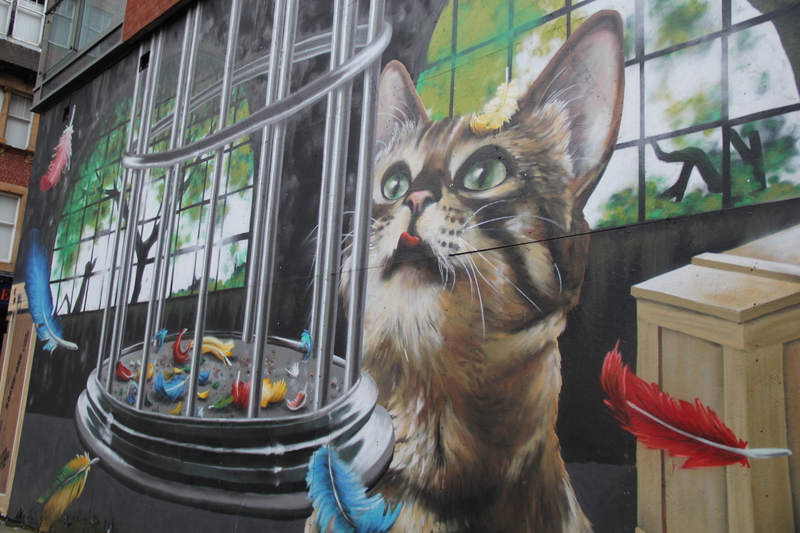 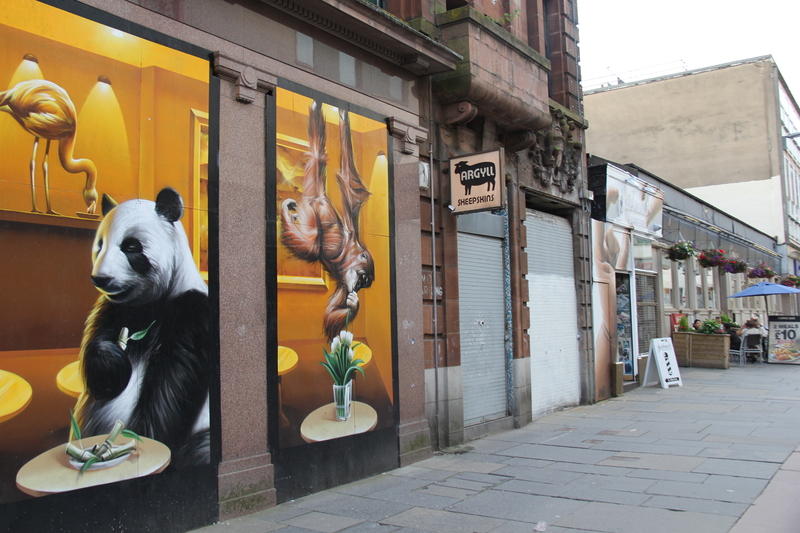 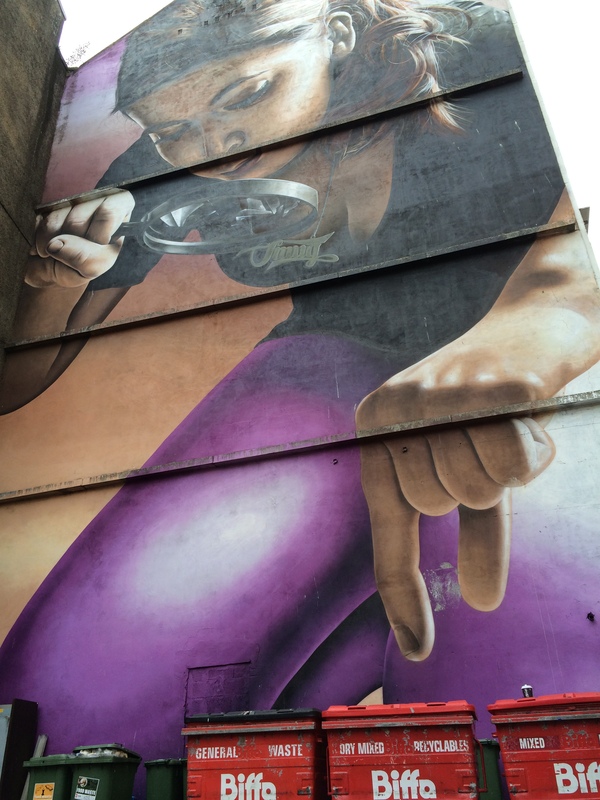 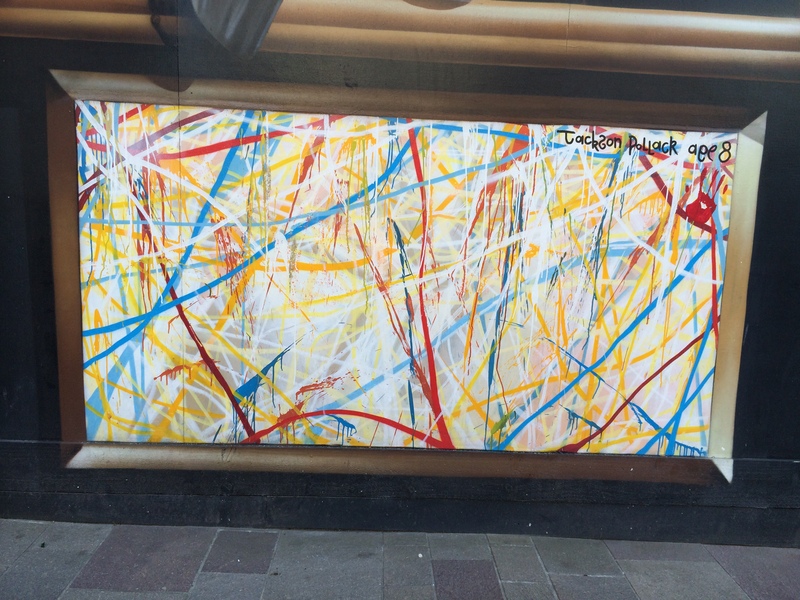 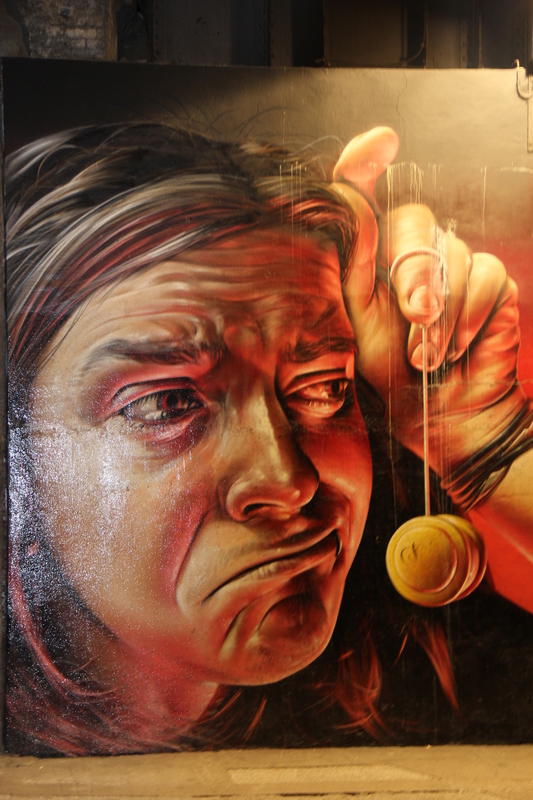 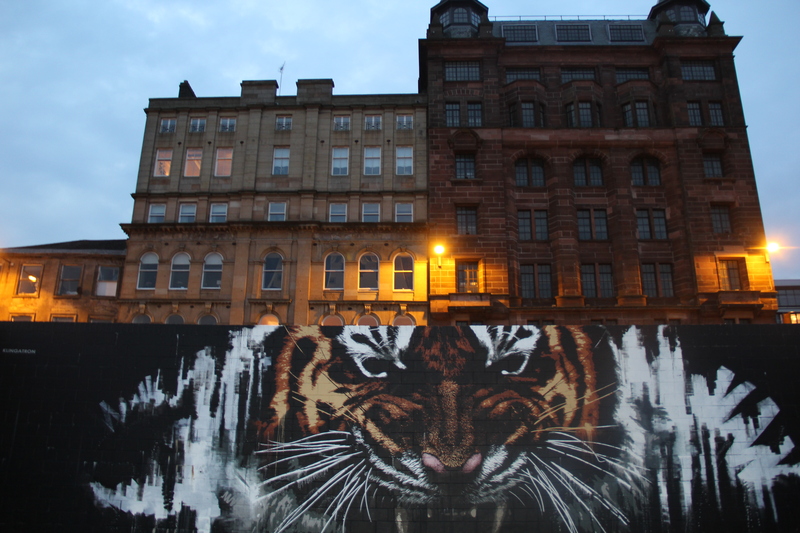 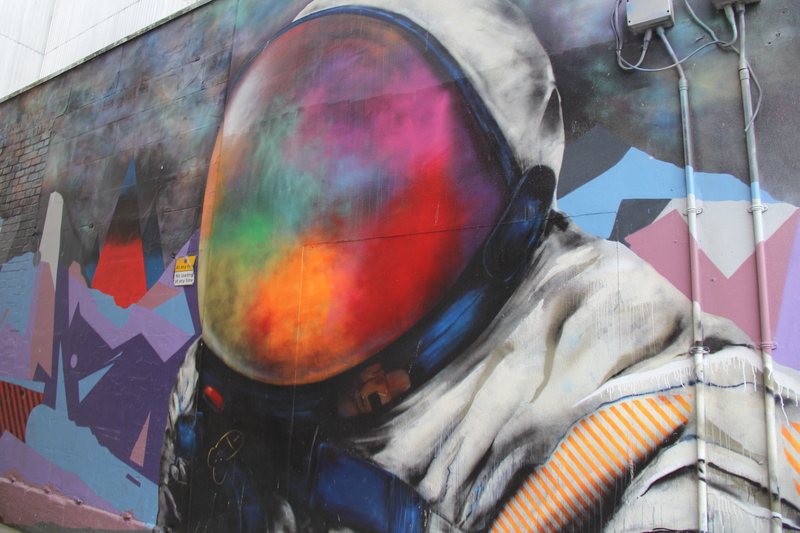 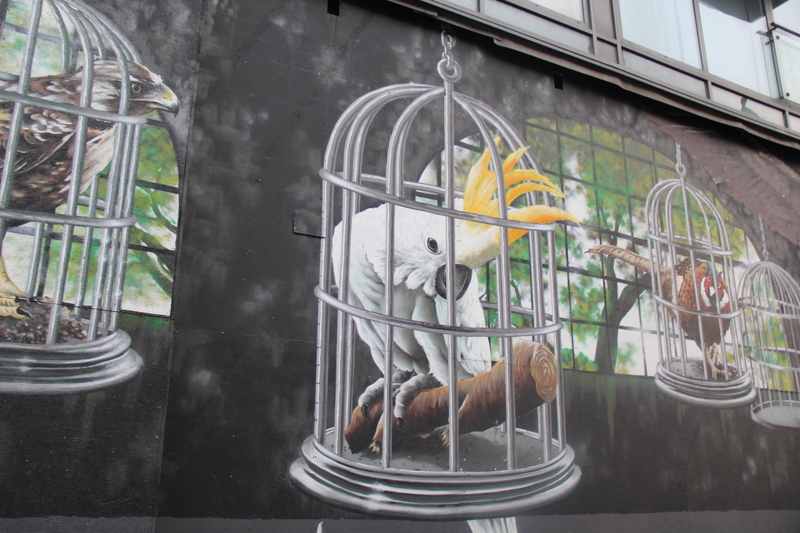 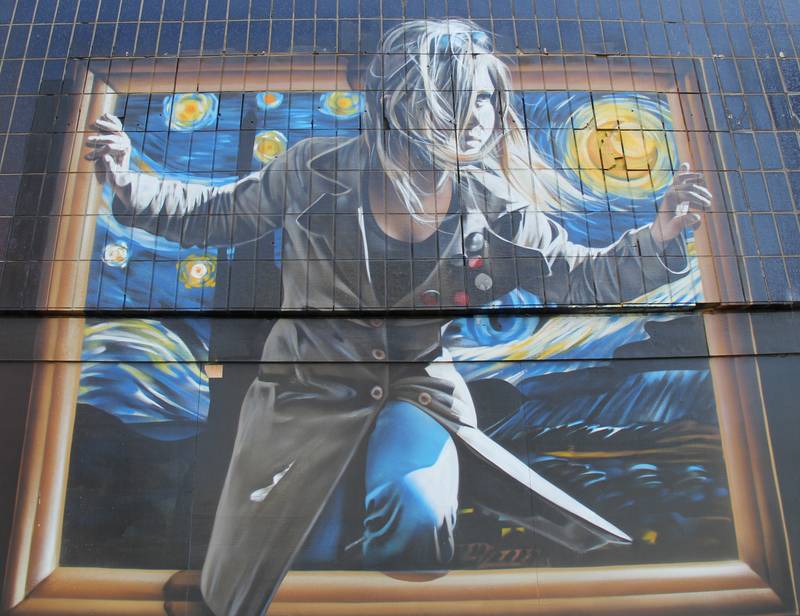 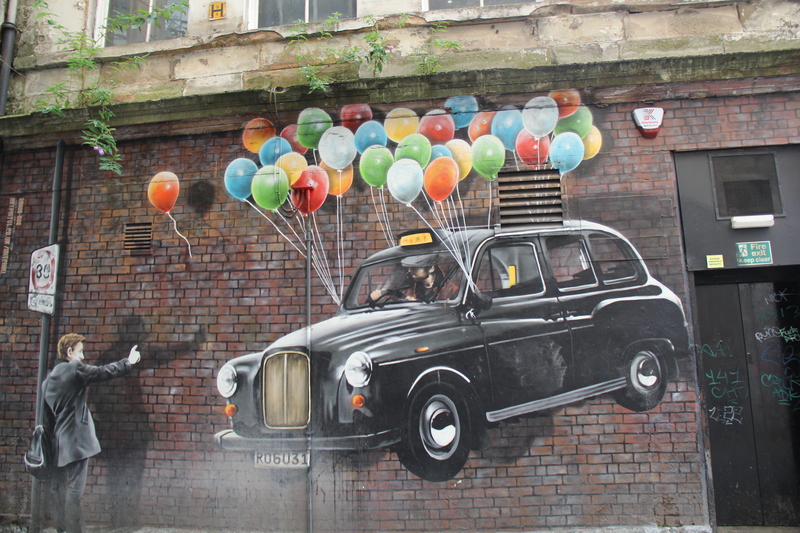 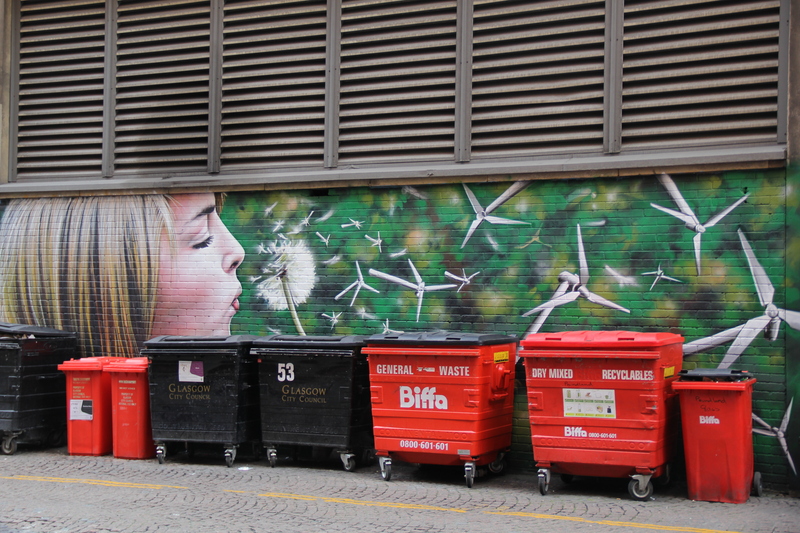 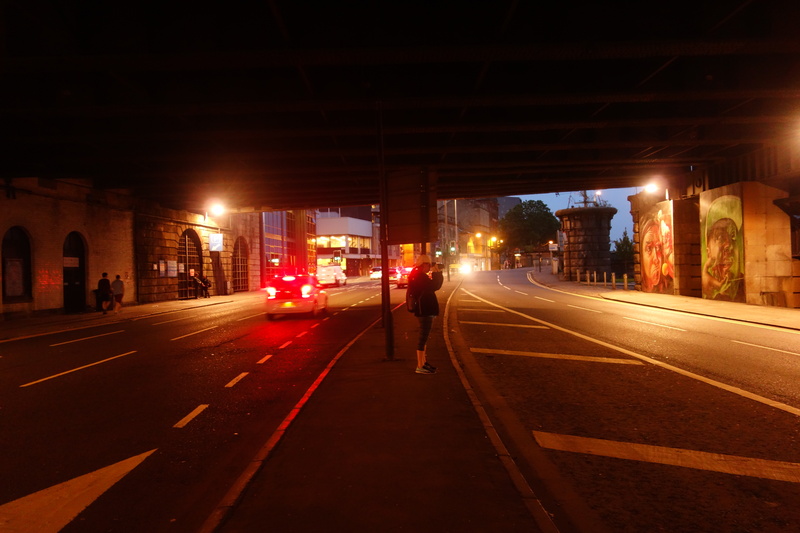 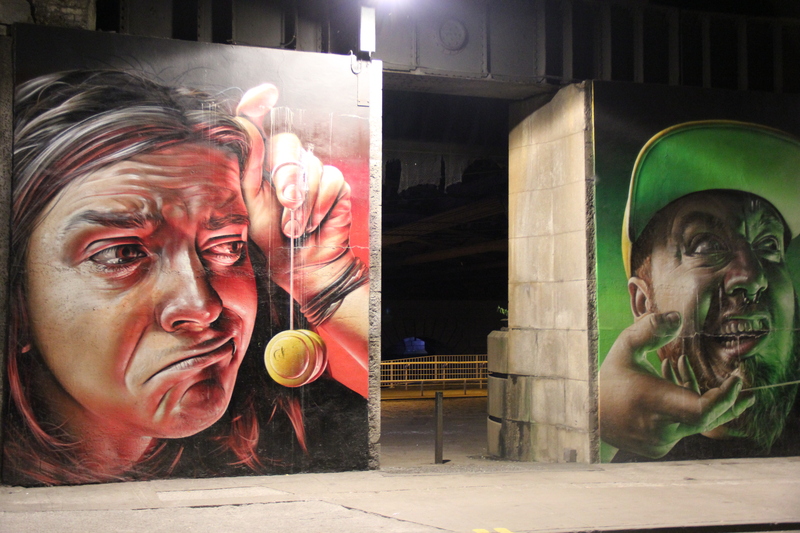 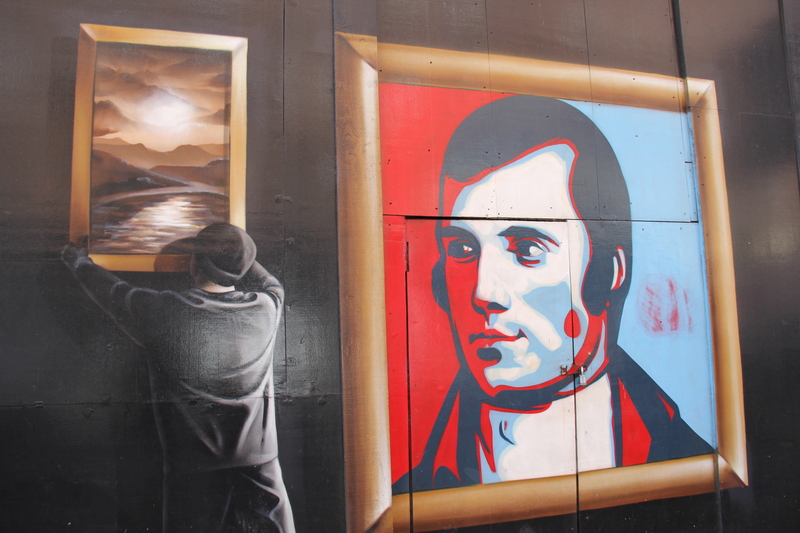 Scotland #17: Street Art Scavenger Hunt in Glasgow | Nam Writes. 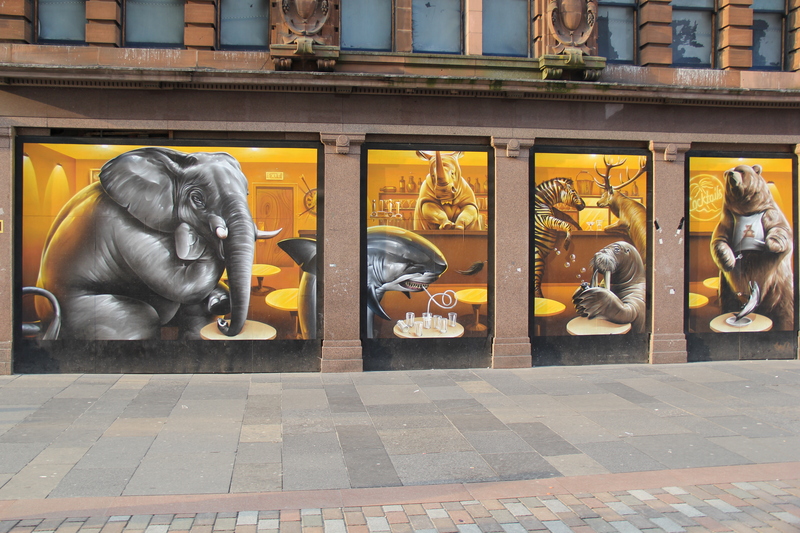 Glasgow is well-known for its street art. 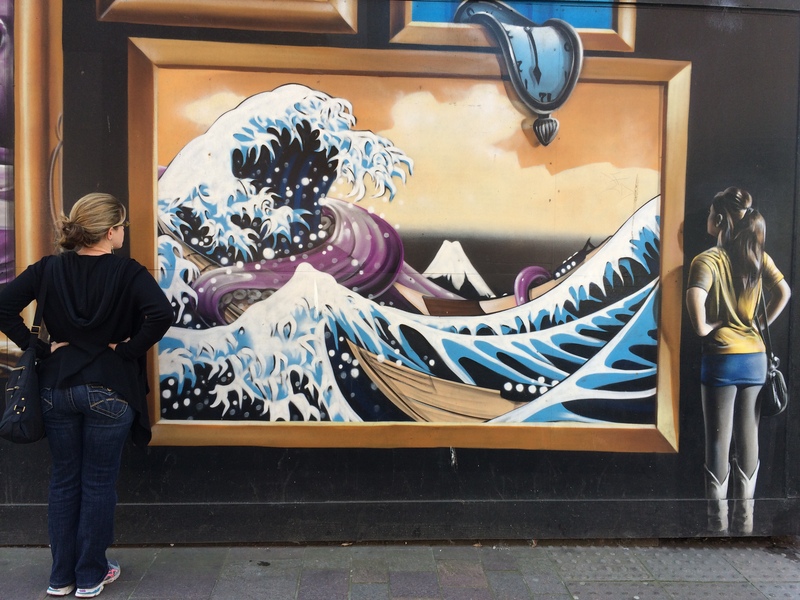 So much so, that you can find a walking map of a kind-0f mural scavenger hunt. 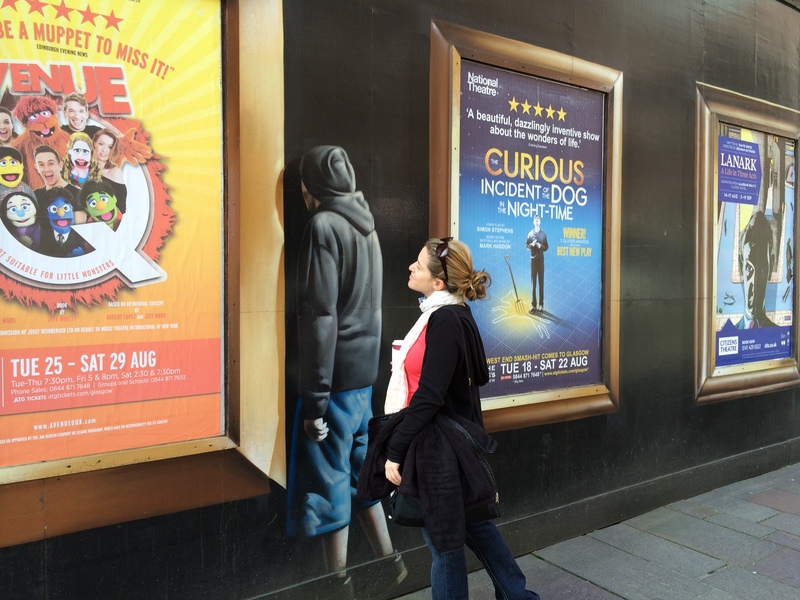 Lisa and I had a great time hunting them down and inserting ourselves into the art. 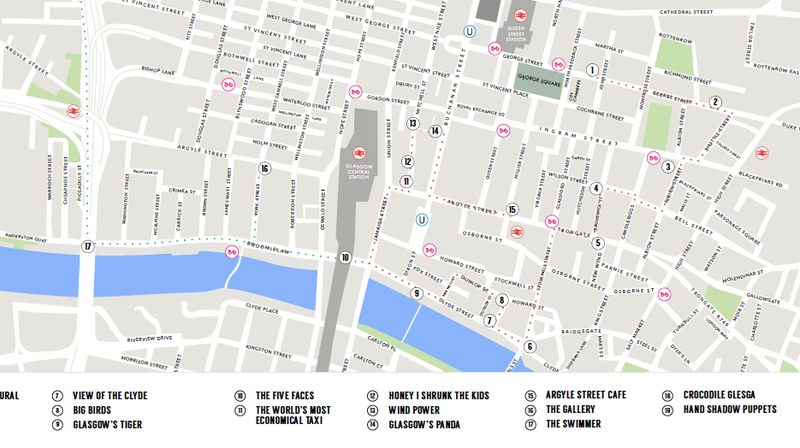 This map is a little dated, but it’s what we used. 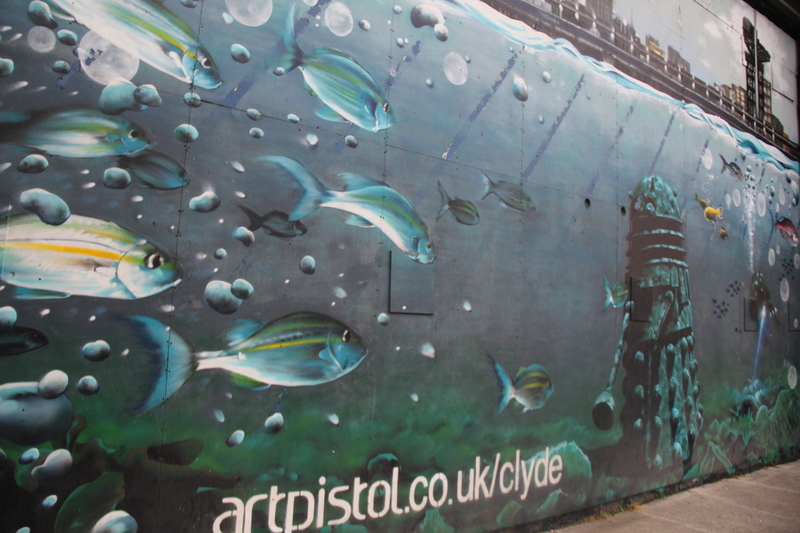 The mural wraps around the corner! 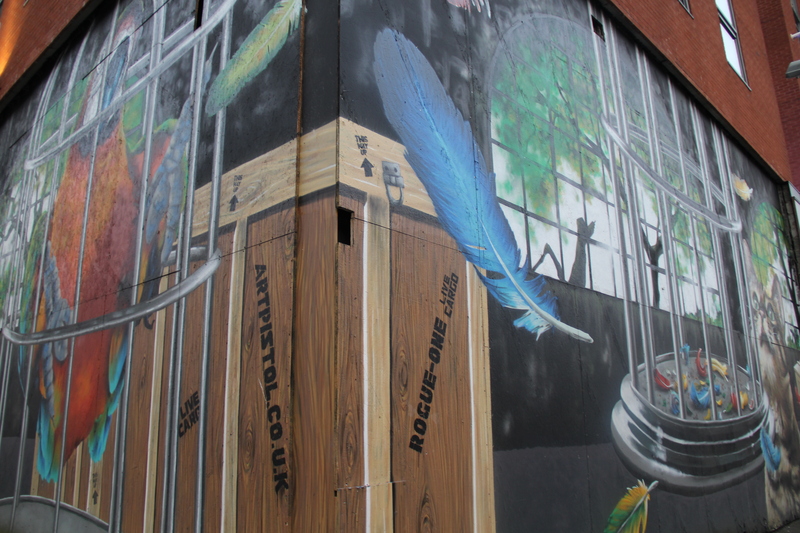 A fascinating mural at Howard and Dunlop Streets that wraps around three sides of a building!